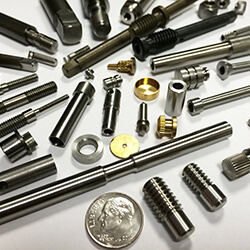 Fostermation Inc is committed to providing quality custom machine products for a competitive price. CNC Swiss Automatic Screw Machine Capabilities: Diameters from 0.020″ to 0.625″. Fostermation, Inc. includes CNC-Swiss Machining capabilities in its impressive list of manufacturing processes. 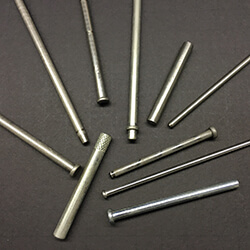 Knurled Pins are similar to grooved pins in that the diameter of the pin is expanded by pressing features into the body of the pin. 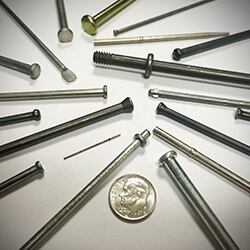 Threaded Pins are used when two pieces must be assembled and must support a load, typically a fastener. 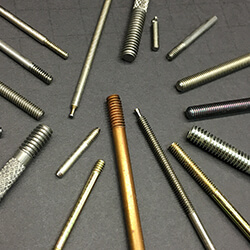 Fostermation, Inc. has been a leader in the manufacturing of Terminal Pins for tubular heating elements since 1971. 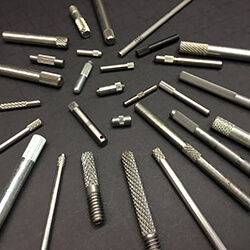 We produce straight, headed, ground and knurled configurations. 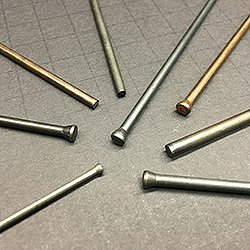 Hinge pins can also be slotted or grooved to accommodate o-rings or e-rings. 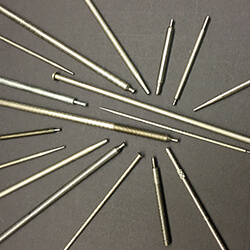 Fostermation, Inc. produces Scaler Needles, used with pneumatic air tools, in four standard diameters: 2mm (.078″), 3mm (.117″), 3.175 mm (.125″) and 4mm (.156″). 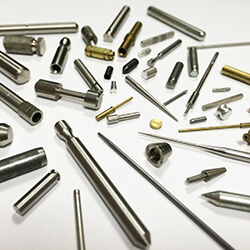 Fostermation, Inc. has the capability to produce a variety of configurations of Rods and Shafts to fit your needs.